I go through "writing phases." Sometimes, I write often... maybe even weekly. Sometimes, I barely write at all... for months at a time. There are so many reasons "why" I write... but I'd like to list a few here. 1) I write... because I love to write. It's such a release for me... damn-near therapy. It helps me vent, reflect, and process. It helps keep me sane. 2) I write, because it helps me share... and connect with others. I write, because it helps me reach out, in ways I could never do otherwise, from small town Mississippi. 3) I write... because there's always the chance that someone, somewhere, needs to read what I have to say that day. And also, there's the chance that I may inspire someone, in some way, to help this-or-that dog, or to follow their heart/their passion. For me, that's huge. 4) I write to help my dogs find homes. This could easily be reason #1, and the ONLY reason for my writing, because it's THAT important to me. But I'm listing it 4th, because the other 3 reasons are actually why I started this blog in the first place. Yet, reason #4 is most crucial, by far. "Ashley only writes for donations." Well... yes, and no. First of all, I write, with no guarantee of donations. That being said... I write... hoping that a few donations may come in... to help my dogs. At the core of it all... that is absolutely why I write... because my dogs need help, and I need help, to help them. How can anyone criticize that? I run a charity! At the end of each blog post, I provide a donate link. There's no obligation to donate... but a link is there if you wish to do so. Why is it there? Well, about a year ago, at the end of any blog I'd write, I'd have several comments: "How do I donate?!!! Please provide a link!!!" Sooo... I decided to make it easy... posting a link at the end of every post. Also, it reminds people that this isn't just a "blog," it's a charity.... and donations are essential to help it continue. If this was simply about "me" ... and if my writing was simply meant to "make money" ... then I could easily write a book, or write for a publication... and get paid to do so. Trust me, I've received plenty of offers to do just that, but so far, I've turned them all down. And to date, I've never once been paid for my writing. Few "writers" I know write for "free." I do it... gladly, willingly, without question. I do it... for my dogs. At the core of it all, my blog is about education, inspiration, and yes... donations. Every charity I know hosts frequent fundraisers to raise funds. My blog is a form of "fundraising," and it costs nothing, and helps many... so who is it hurting?? If a couple of donations come in from my writing, that's awesome! I've never "made" anyone donate ... I've only provided a link at the bottom of my posts, if you wish to do so. Essentially, I've quietly requested the help that every other charity asks for as well. And honestly... this year... I've maybe written a handful of blog posts, and asked for very little, regarding donations. 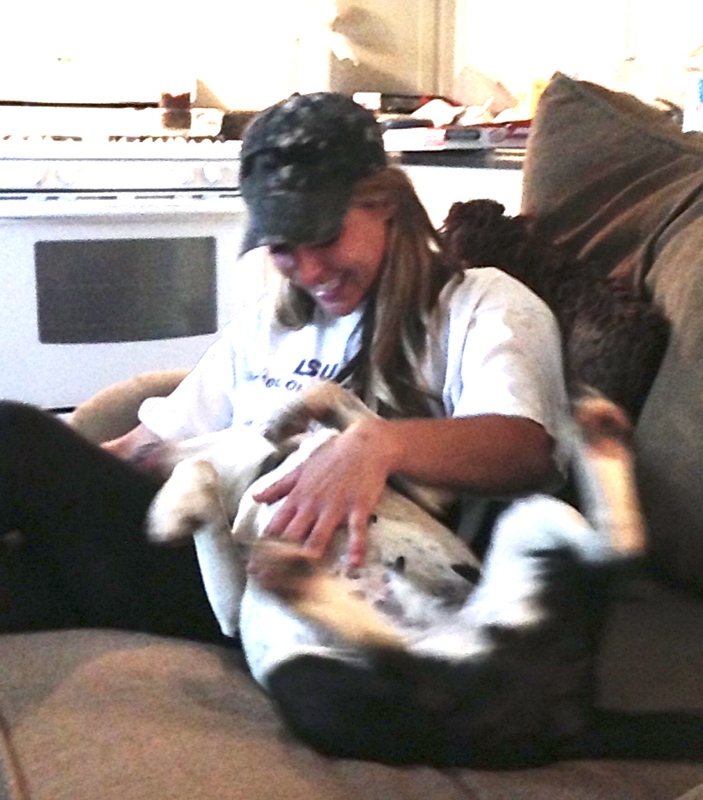 Regardless, Lucky Dog Rescue Blog is about my desire to inspire, and it's also about my dogs. It's also... about all of you. 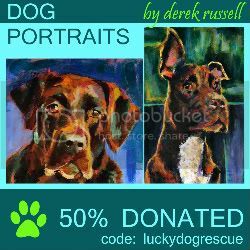 If my blog has ever touched your life... please do give to my dogs. At the end of the day... they're why I write. And at the end of every post... I give you the chance to show them that they matter. 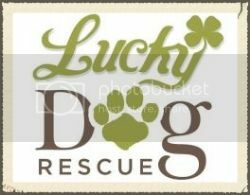 CLICK HERE TO DONATE TO LUCKY DOG RESCUE! 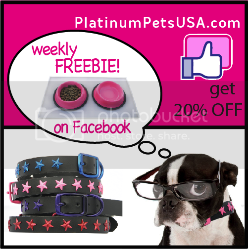 This isn't an "animal rescue" post... nor is it a "personal" post. Regardless, I felt the need to write today. 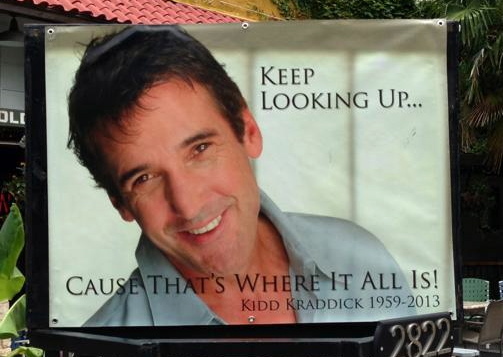 Radio DJ Kidd Kraddick died on Saturday, in New Orleans. He was just 53 years old. Why is this relevant to my animal rescue blog? Well... it's not. Why is this relevant to my life? Well... it just is. I was 18 years old when I first started listening to "Kidd Kraddick in the Morning." My friend, Tiffani, first told me about the show. And when I moved to Tuscaloosa for college at the University of Alabama, I was finally able to listen to the local T-town radio station that aired the Kidd Kraddick show. At 18, I remember listening one day, while Kidd was discussing life, passion, and doing what you love. I'd always known my passion... and what I hoped to do one day... but back then, I was just a kid. Yet, that fateful day, Kidd said exactly what I needed to hear... at the time I needed to hear it. It was the time in my life when I was choosing my personal path... and honestly, his inspiring words helped me choose the right one. So, at the beginning of my Freshman year of college, I began listening to Kidd Kraddick. Later that school year, I experienced a devastating car accident... that nearly took my life. In the blink of an eye... my life changed forever. I've never been the same since. The events of that night, affect my life, to this day. I'm still in pain, every single day, but I've never let it stop me. Clearly, I survived, but back then, my future was unknown. In that accident, I broke both of my legs... severely crushing my left leg/foot, with injuries that caused surgeons to recommend: amputation. Even after my leg was saved... I was bedridden for months...and in a wheelchair for months after. And during that time, no one knew if I'd ever walk again. After I left the hospital, a rented hospital bed was placed in my childhood bedroom at my parents' house. I was forced to live in that bed... for months, and my mom was forced to take off of work during that time, to provide around-the-clock care for me. Back then... because I never knew what tomorrow would bring... and because the pain was so intense... I'll be honest: I cried. Often. But during that time in my life, the Kidd Kraddick show kept me going. During a time when I often didn't know how to smile, Kidd Kraddick made me smile. During a time when laughter seemed foreign, Kidd Kraddick helped me laugh. During a time when I often felt hopeless, Kidd Kraddick gave me hope. It may sound silly to some, but for me, at that time in my life, it meant everything. And at that time in my life... the time when I really needed to feel "normal" ... Kidd Kraddick helped me feel normal again. After college, I was offered a job in Baton Rouge... a place where I knew no one. It was a sales job, so I spent most of my days... especially mornings... in my car, driving, traveling. And even though I had no friends there when I moved... and I often felt very alone... I knew I had at least one "friend" in my life, every weekday morning. His name: Kidd Kraddick. He kept my spirit alive. I later moved back home... here, to my hometown, Meridian, Mississippi, where I'd start my own business and charity. It was one of the best --and most difficult-- decisions I ever made... to do what I do now. Ever since I made that choice... each morning... no matter how difficult my day has been... I had someone who was always there to push me forward. Kidd Kraddick. Kidd Kraddick is a man I never met, but a man I felt I knew, so well. Each day, when I tuned-in, it never felt like I was listening to a "radio show." Instead, it felt like I was listening to a friend... to a group of friends... who were talking just to me. Friends who were always there to say: "I know your life is hard... I know you feel sad sometimes... but we're here for you, to help you through the ups, the downs, the in-betweens. And PS- here's a laugh to start your day..."
For more than 10 years of my life, I've had that, every. single. day. At the lowest points in my life, Kidd's humor meant everything to me. At the high points, he was a constant reminder to be thankful, and keep smiling. But no matter what I was going through... he was always there... as a comedian, a mentor, a therapist. And mostly, a "friend." To me, that meant everything. Kidd Kraddick meant the world to me, because his words changed my life. My mornings will never be the same without Kidd Kraddick. I feel like I lost a best friend, and my life will never be the same. While I could never repay Kidd for what I feel he's done for me --and for so many others-- I know I can do at least one thing to help him live on. I run a charity... so I know: if something ever happened to me, I pray someone would step up and offer to help my work continue. PLEASE DONATE to his charity: Kidd's Kids. PLEASE give something... anything... to the charity that he lived for... and essentially... died for. PLEASE click the link below and donate to the children who deserve your help. Please! *Kidd, we let you into our morning routines, and into our lives. Because of you, we listened, we laughed, and we felt inspired. Because of you, people did more, cared more, became more. I'm not the only one who feels this way. Not even close. There are millions of us. That's an unbelievable legacy... which only you could leave behind. Thank you for everything. We miss you. "Keep looking up, 'cause that's where it all is."